Growing food is critical to any version of prepping plans. You know, it is a limited part of your food supply because of the four seasons but, you can affect that. One of the best ways to affect that is to start growing food in a greenhouse. Of course, most people struggle with this idea of paying hundreds of dollars or more to buy or fabricate a greenhouse. 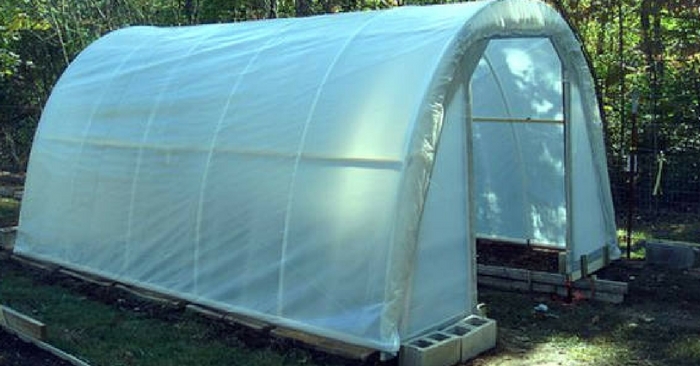 What if you could build a greenhouse for $50? Sounds pretty appealing, right? We are going to look at creating a greenhouse for just $50 in this article. If you are interested in a list of ingredients, this is what you need. These materials can also be had on a craigslist or yard sales. If you can find a number of these items elsewhere it will also affect your overall cost. The idea behind the $50 greenhouse has a little to do with how you source your materials, as well. This greenhouse is a union between PVC and wood. 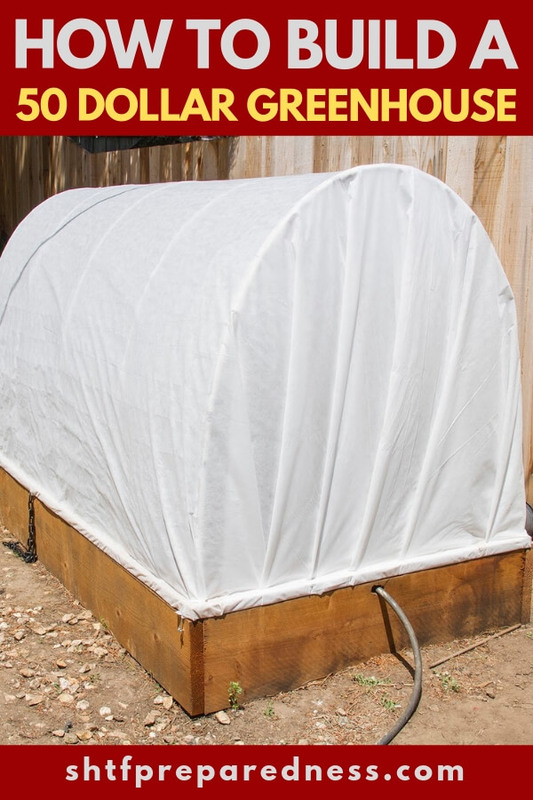 It’s a great design and the thicker mil your cover the more durable the greenhouse will be. For some of you, this list of materials looks a lot like a simple blueprint. You can see how these materials come together if you have that kind of builders background. For the rest of you, don’t fret. You see, I also have a great list of steps for you to follow. This will walk you from the start to the finish.